Employment and jobs on merchant vessels to work on diverse areas on board, with different personal requirements, training, income and working conditions for people from all around the world. Employment and jobs on merchant vessels for a diverse non-skilled and qualified workers, technical staff and maritime professionals to fill an interesting variety of onboard positions, with contracts varying from a few days or weeks to more than a year offered by merchant marine companies established in many diverse countries. 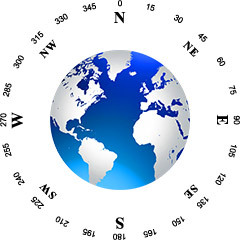 Wind Rose Network provides up-to-date information and resources, and effective services to those people interested in the merchant marine and its of opportunities to work in different roles and departments – from entry-level positions to highly qualified officers – to be employed in the overall operation and maintenance of a wide variety of vessels engaged in the maritime transportation of all types of cargo along local and international trading routes all around the world. The merchant marine sector offers the opportunity to work in different positions and areas aboard cargos, tankers and diverse specialized vessels to crew members, technical personnel and officers of a wide variety of nationalities. Along with the merchant marine, there are other three segments in the maritime sector that may be of people seeking for employment opportunities. In any case, we would like to offer our contact section to everyone interested in obtaining information about any aspect related to positions available and their requirements to work aboard merchant vessels.